Ra Ra Riot performs at last year's Make Music Pasadena. Check out pics from this year's Make Music Pasadena 2012 by clicking right HERE. Make Music Pasadena just announced the lineup for this year's festival which takes place on June 16th. Girls will be in full force once again as Grouplove, Grimes, Milo Greene, The Cults, Dengue Fever, Soko, Correatown, Jessica Fichot and The Happy Hollows are scheduled perform. 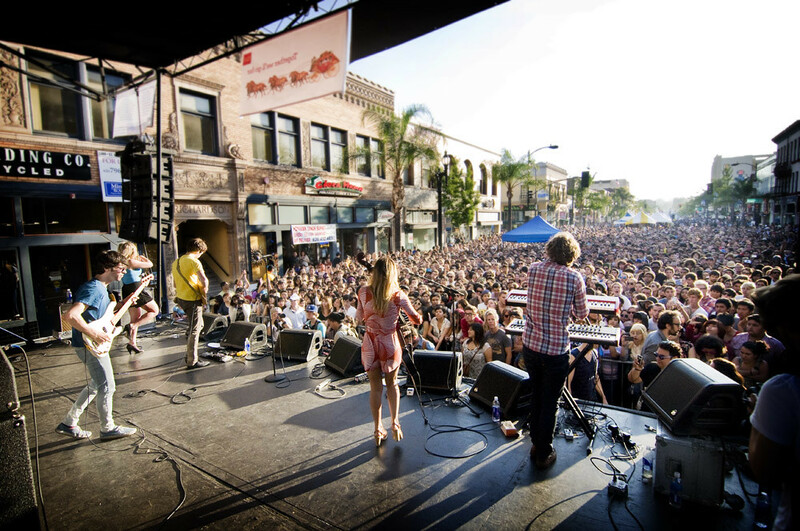 Click HERE for more information on Make Music Pasadena. Make Music Pasadena is one of my favorite festivals of the year. The annual free music festival brought in 20,000 people last year on the streets of Old Towne Pasadena to watch Best Coast, Ra Ra Riot, Zola Jesus and Eliza Rickman to name a few.